Togetherville: Harmless, Weird or Both? A few days ago, Disney purchased Togetherville, which is essentially Facebook for kids. If you’re not familiar with Togetherville, it’s simple. Because children 13 years and under can’t legally have a Facebook page, Togetherville mimics the experience, only in a safer, more appropriate way. After signing up, parents log in with their existing Facebook account, then Togetherville automatically sorts through their Facebook friends to find out whose children are also using the program. Parents can build a neighbourhood for their child by adding kids they actually know―not some dude who may or may not be an 8 year old girl. Once in their Togetherville bubble, kids can play games, watch pre-selected videos, create artwork, send virtual gifts, “heart” their friends’ activities and update their status with generic pre-screened phrases. Togetherville’s FAQ says “kids can engage online without parents having to stand over their shoulder,” but parents can creep on everything their child does, from anywhere in the world. It also says “you can see what they are doing, communicate with them directly and become part of their online life.” If that’s not creeping over their shoulder, then I don’t know what it. Whatever. It’s a good thing. Good deal, Disney, good deal. Anything associated with the company seems like a wonderful thing. If any parents were on the fence about Togetherville, the Bambi association might weaken their defences. Or, the whining of their Disney-obsessed child will weaken their defences. Either way, Disney wins. Disney always wins. 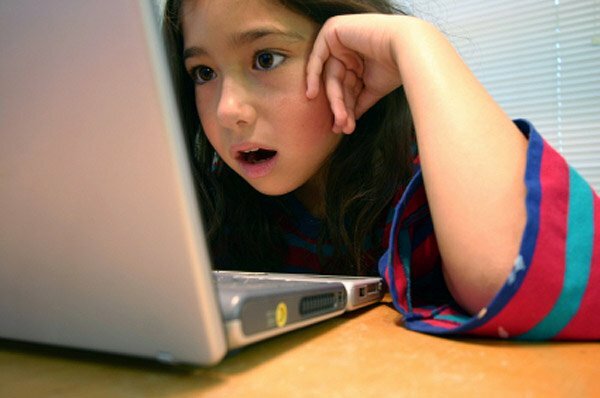 Do kids have enough friends to validate social networking? No way. Put a seven year old on the telephone and they’ll think of 5 people they want to call (one is their parents, but they always get a busy signal. Go figure). Put that same kid on the internet and they’ll happily message everyone who came to their birthday party, plus 100 more. Togetherville’s target age, 6-10, is the time when kids should be learning valuable social skills, such as what a telephone is, how to call friends on said telephone and how to make friends outside of pre-arranged playdates. These activities will benefit them later in life, especially in another social bubble known as “high school.” I’ve seen teenagers who text 24/7, but are too nervous to call their cell phone company. Scary. To build a child’s Togetherville neighbourhood, the parent adds the children of their own Facebook friends. This sounds fine and dandy, but whose friends list is 100% real friends? To plump up the neighbourhood, parents might add the kids of acquaintances, online friends or the friend of a friend of a friend who only added you because she needed more people at her candle party. I hope that parents would be incredibly selective, but it’s still weird. And fake. Kids need to meet real friends, in real life. Even if it’s a forced play date, they’re still learning how to get along. Kids need to learn how to deal with enemies, because in real life, you can’t just delete someone you don’t like (well, you can, but it’s illegal). But as strange as I find children’s social media, it does have one giant saving grace: lessons on proper internet behaviour. It’s the ol’ “kids are going to do it anyway, so we might as well make it safe” adage. • that the things you post online can be viewed by teachers, employers, college admissions officers and other people who can wreck your life. So…maybe Togetherville isn’t as bad as I initially thought it was. It’s less creepy than adult social networks, that’s for sure. Social networks are only going to get more complex as time goes on, so kids need to learn how to fend for themselves in virtual environments. As long as parents find the right balance of physical and virtual friend-making, it’s okay by me.